334 pages | 23 B/W Illus. 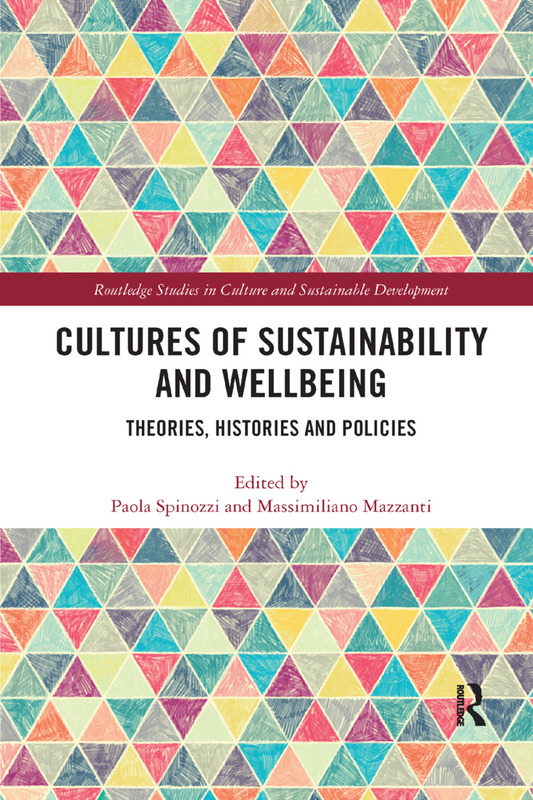 Cultures of Sustainability and Wellbeing: Theories, Histories and Policies examines and assesses the interdependence between sustainability and wellbeing by drawing attention to humans as producers and consumers in a post-human age. Why wellbeing ought to be regarded as essential to sustainable development is explored first from multifocal theoretical perspectives encompassing sociology, literary criticism and socioeconomics, second in relation to institutions and policies, and third with a focus on specific case studies across the world. Wellbeing and its sustainability are defined in terms of biological and cultural diversity; stages of advancement in science and technology; notions of citizenship and agency; geopolitical scenarios and environmental conditions. Wellbeing and sustainability call for enquiries into human capacities in ontological, epistemological and practical terms. A view of sustainability that revolves around material and immaterial wellbeing is based on the assumption that life quality, comfort, happiness, security, safety always posit humans as both recipients and agents. Risk and resilience in contemporary societies define the intrinsically human ability to make and consume, to act and adapt, driving the search for and fruition of wellbeing. How to sustain the dual process of exploitation and regeneration is a task that requires integrated approaches from the sciences and the humanities, jointly tracing a worldwide cartography with clear localisations. This book will be of great interest to students and researchers interested in sustainability through conceptual and empirical approaches including social theory, literary and cultural studies, environmental economics and human ecology, urbanism and cultural geography. Paola Spinozzi is Associate Professor of English Literature at the University of Ferrara. Her research focuses on the relationships between literature and visual art, science, utopia as a genre and sustainability. Massimiliano Mazzanti is Professor of Political Economy at the University of Ferrara. He specialises in environmental policy, economics of innovation and waste management.